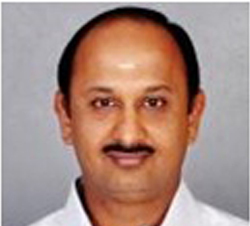 A senior leadership professional with an entrepreneurial flair and varied experience ranging from Software Product Management, Product Marketing, Sales (both direct and channel), Business Development in IT and strong industry knowledge in Retail, Healthcare and Manufacturing sectors, Mr Bharathy has expertise in conceptualizing and guiding teams to build ground-up SaaS applications on cloud platforms like Microsoft Azure and Amazon Web Services. He has held senior positions in Sales, Business Development, Marketing, Product Marketing, Product Management and Implementation, prior to founding the company and hence has an excellent 365 degree view of Software Products business. Specialties: Software Product Management, Enterprise business applications Sales, Business Development, Product Marketing, Software Business Strategy, Cloud computing, ERP/CRM/SCM, Business Intelligence, SMB markets. A senior technology expert with vast experience in cloud computing technologies and platforms, Mr Kannapan has over 23 years of overall work experience that includes Software product development, software Engineering, Software Project Management, ERP implementation etc. The M.C.A from Madras University who holds an Executive M.B.A. from the OUBS, British Open University, Milton Keynes (U.K), has also served as the Vice President – Engineering and a member of the founding team of Nustreet Technologies, headed Delivery & Support of complex business applications for FORD – EUROPE, through Covansys India, now part of CSC and as the Senior Manager – Technical at Ramco Systems (an Global ERP solutions provider) based out of Chennai, India. He also has couple of patents in his name in the area of software engineering that he had co-authored while at Ramco and a few more that are awaiting approval. 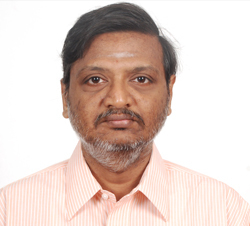 With over 24 years of overall work experience that includes Management consulting , ERP implementation, Enterprise IT sales, General management in various MNCs across the globe, Mr Ramaswamy has vast international experience , having lived and led organizational teams in the USA , UK and mainland Europe for many years. He is a certified TOC expert from the Goldratt schools, has an executive diploma in marketing management (London Business School), a Masters in Management from NMIMS, Mumbai and a B.E (Production) from Mumbai University. 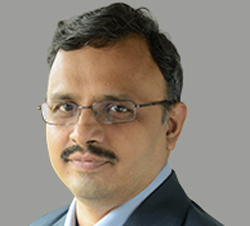 Mr Ramaswamy is also the founder and MD of Aspire Infinite, a specialized management consulting firm, headquartered in Mumbai and has also served as a Chief consultant and the head of the TOC management consulting practice at M/s Siemens Information systems as well as Head of operations in the UK and West Europe at Ramco, a leading Indian multinational ERP company, for more than 10 years.